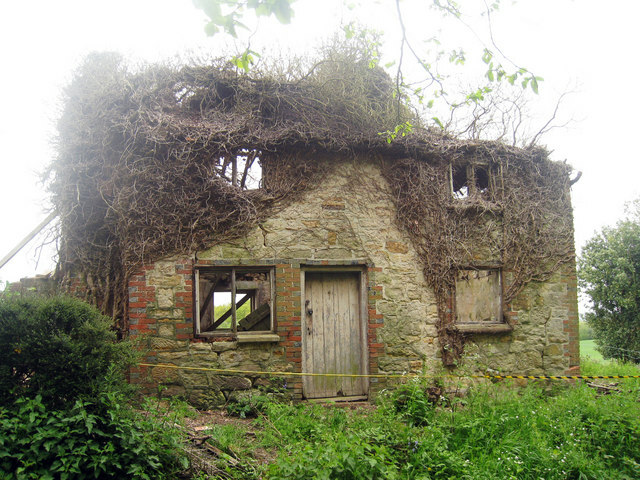 A small abandoned stone built cottage beside the track and bridleway to Hooper's Farm. The building has clearly been abandoned for many decades, and aside from a small, now ruined, extension, it follows a very traditional 2-up -2-down vernacular form. This page has been viewed about 1432 times.